Antivirus Smart Protection is a fake security software (rogue). Antivirus Smart Protection displays a lot of disturbing warning messages pushing users to purchase a license. 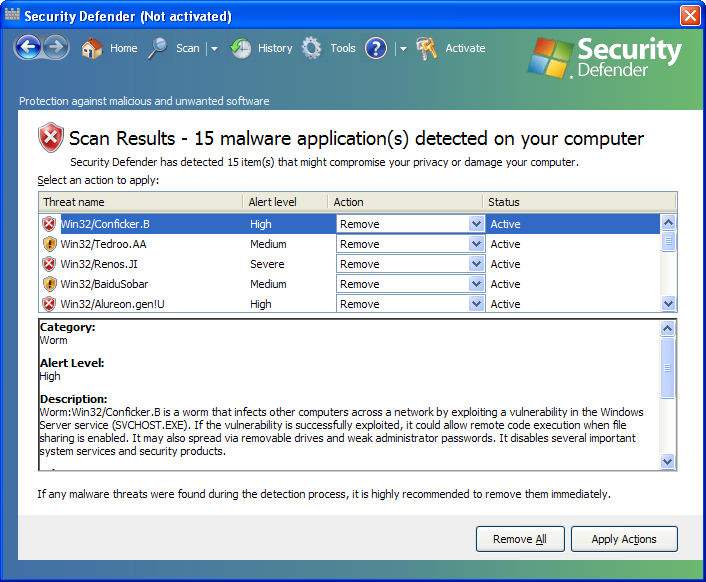 If your PC is infected with Antivirus Smart Protection, use MBAM to remove the infection. Malware Protection Center is a fake security software (rogue). Malware Protection Center displays a lot of disturbing warning messages pushing users to purchase a license. 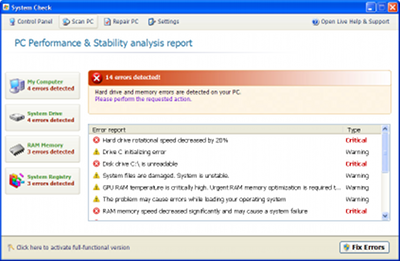 If your PC is infected with Malware Protection Center, use MBAM to remove the infection. Smart Protection 2012 is a fake anti-spyware tool. It displays fake alert messages, prevent execution of legit programs and detects inexistent infections to scare users. It is a clone of Personal Shield Pro. 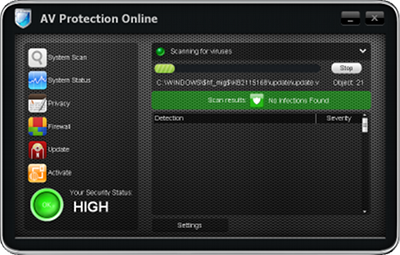 AV Protection Online is a fake Antivirus. It is a clone of Cloud AV 2012, AV Security 2012, Cloud Protection, Guard Online, AV Guard Online, OpenCloud Security, OpenCloud Antivirus, BlueFlare Antivirus, Milestone Antivirus, Wireshark Antivirus, Sysinternals Antivirus, XJR Antivirus, AKM Antivirus 2010 Pro, Your PC Protector. AV Protection Online prevents legit softwares execution, displays fake alerts and blocks random Web pages. The rogue is closing legit software. You can register by entering the following serial code 9443-077673-5028 (manual registration). Security Defender is a fake security application (rogue) from the same family as: Security Central, Security Center, Antivirus Pro, Antivirus Center, Internet Protection, Antimalware Tool, System Defender, Internet Defender, Security Defender, Antimalware Defender. It displays fake infections to push users into buying a license. 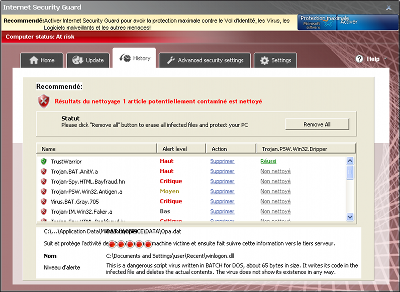 Internet Security Guard is a fake security software (rogue). If your PC is infected with Internet Security Guard, use MBAM to remove the infection. 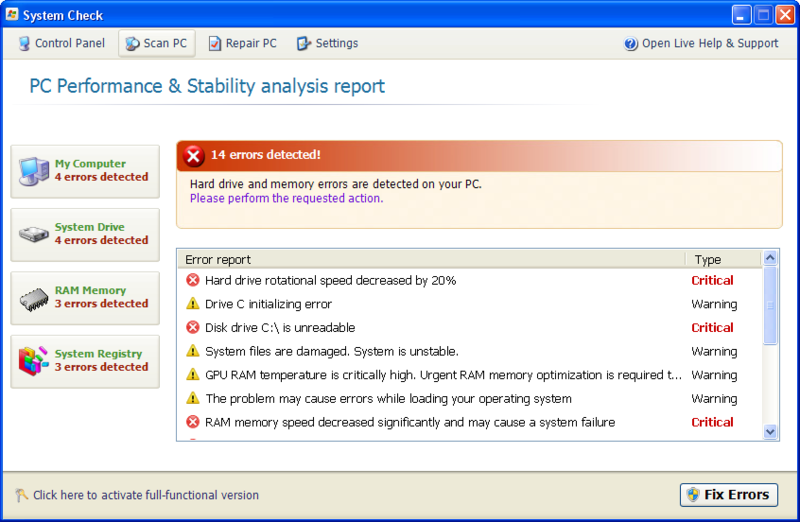 System Check is a fake Defragmenter tool (rogue) from the same family as: FakeHDD.